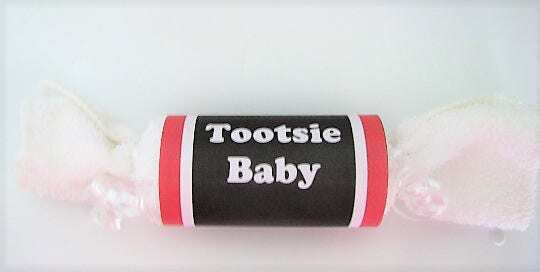 These are cute diaper favors made just for the new mom! Each one containers a newborn diaper and washcloth. With these cute labels. 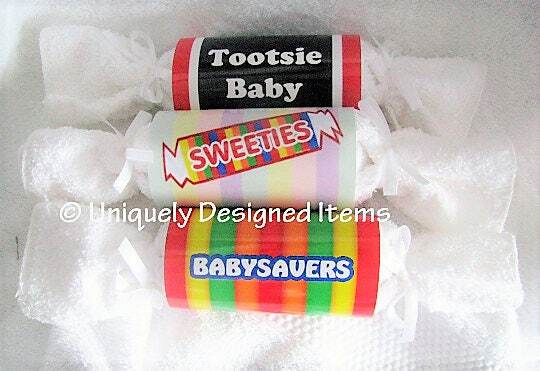 Tootsie Baby, Babysavers and Sweeties. They are $5 each and this set contains one of each. We're sure the new mom will love these. Now shipping overseas as well: please email me for shipping prices to your country. Thank you! These unique baby shower gifts are sure to make the mom to be smile! I know my niece still has the ones from the baby shower on her dresser (and she's turning three!). These are super cute baby shower gifts for the new baby!